The Haunted Woods, 9 p.m. to 12 a.m. in Grether Woods. Hosted by Inter Greek Council and Beta Sigma Omega. Join students for a spooky outdoor event right in Lakeland’s backyard. 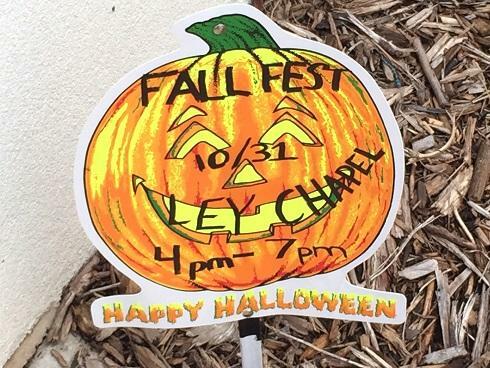 Fall Festival Celebration, 4 to 7 p.m. in Ley Chapel and lawn in front of chapel. Hosted by Spiritual Life Council. There will be games and outdoor activities, including pumpkin bowling, a hay bale toss and pumpkin carving. Admission is free, but there will be a small fee for pumpkin carving. After these activities, the festival will join others on campus for the haunted house event from 8 to 10 p.m. Donations will be accepted to go towards a Thanksgiving meal for international students. Haunted House Excursion, 7:30 p.m. at Dominion of Terror, Sheboygan. Hosted by the Adventure Club. Join other Lakeland students for a trip to Sheboygan’s Dominion of Terror. RSVP in advance is appreciated and can done at the Student Success Center Front Desk.